AcuteCoin: Get free XAC tokens from the social crypto platform!!! Today I’d like to talk about Charles’ project: The AcuteCoin platform. It provides users with multiple opportunities, among them a crypto airdrop (see below). And it creates an exclusive crypto community that will both learn and earn by sharing and building their investment portfolios together. AcuteCoin strives to be both a platform for earning and a useful tool in helping users maneuver their way through this exciting industry. Want to learn more about their project? Take a look at their white paper. AcuteCoin, ticker XAC, will be the utility coin for use on the platform. And the total supply is 42,000,000 XAC coins. It looks like they’ve developed their own blockchain for the project. And, as I was saying above, users will be able to earn revenue through a select group of services that the team have established from the ground up with their partners. How to get the free XAC coins? First a word on this coin airdrop that offers a fair distribution of 100,000 XAC coins (with a value of about 165,000 USD). Meaning that they’ll distribute all coins based on the number of participants. And they want to encourage as many people as possible to participate early and actively in a community dedicated financially to empowering the global community. However, the rules and requirements to join this cryptocurrency airdrop are easy to fulfill. Indeed, first of all, you need to register here. And in the new window, fill in your first name, last name, email and password in the pop up. Then check the T&C box, solve the captcha and click on Sign Up. And you’ll get a confirmation email, with a link to click on. Second and last rule, you need to join their Telegram group. And to stay until the end of the campaign! Otherwise you won’t get your free XAC coins… What are the airdrop stakes? Hard to say for now. But everyone following these rules will get an equal stake in the airdrop distribution. And if you want more stakes, you can help their community grow via their referral program (link on the Dashboard). Or via their bounty program! 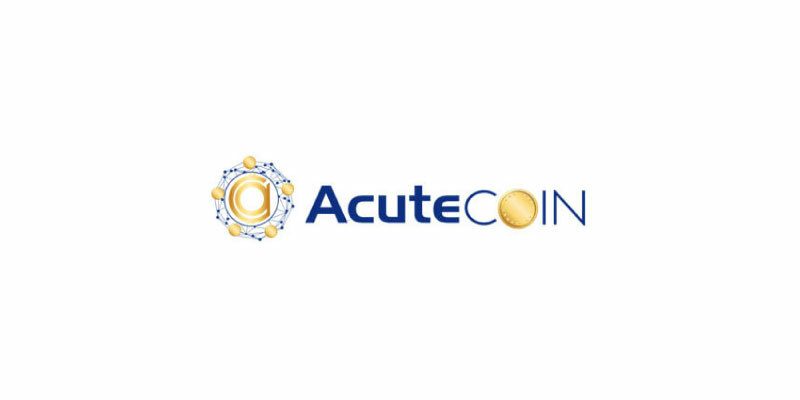 AcuteCoin is a new project in the crypto community. And their goal is to make you and all their members earn more cryptocurrencies. Join the project now and participate to their crypto airdrop. Claim your coins now!